Peering out the makeshift door of her corrugated metal shelter, Parathi lets the warm, soft rays of the sun tangle up around her welcoming in another day. A gentle breeze rocks the entranceway of their shelter providing a soft melody for her two autistic children sleeping peacefully behind her. The few minutes of silence brings a smile along with a chance to relax before the chaos of a new day begins. She picks up her broom and quickly begins tidying up their simple shelter with a touch of longing for their old home they had just one year ago. 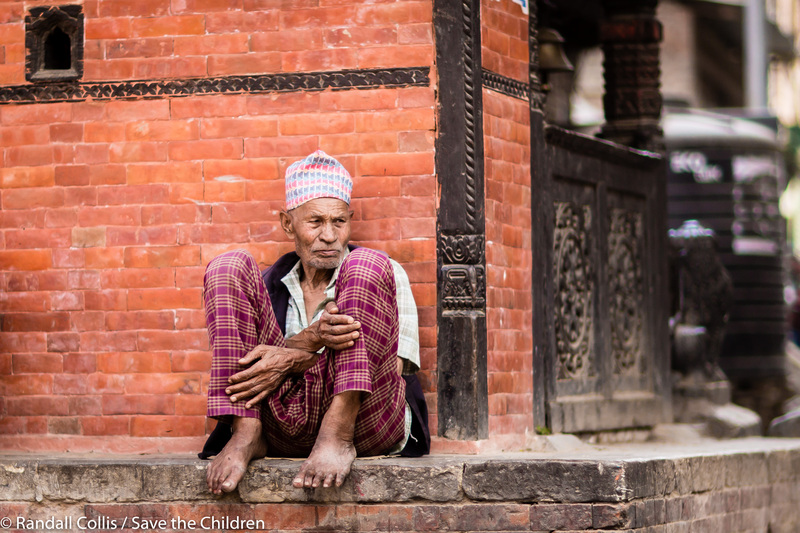 One year ago…devastating earthquakes rocked Nepal, the first on April 25th and the second on May 12th with tremors shaking the tenuous foundation of life for the Nepalese people. The destruction was catastrophic: 9,000 people died, 600,000 homes destroyed, and damage estimated at $10 billion. To add insult to such devastation, over the past year political infighting has frozen $4.1 billion in emergency aid funds. Nepal now finds itself paralyzed with one natural disaster (the earthquake) feeding into another manmade disaster (political pettiness), creating dangerous aftereffects such as human trafficking, disease, deteriorating health, debt and a faltering educational system set to further cripple the country. Amid the chaos, however, there has been one constant: organizations who have stepped in to support communities. To rebuild. To give hope. To provide an opportunity for a future. 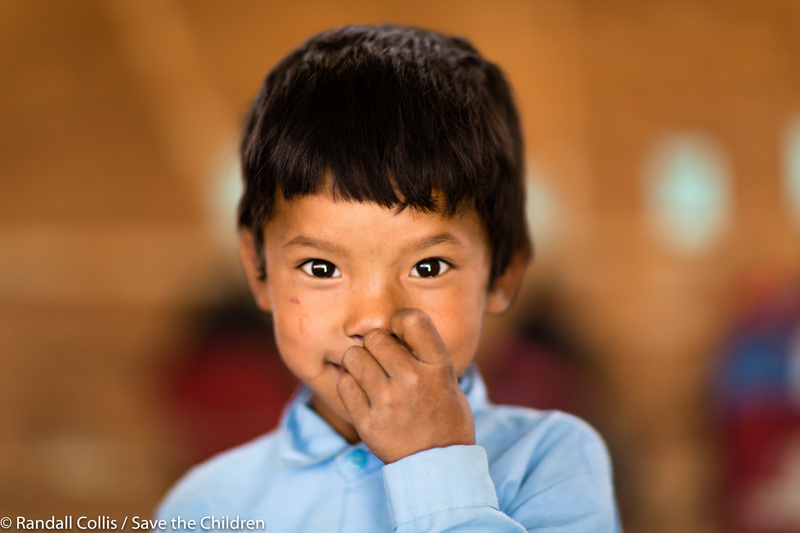 An incredible thing to witness and Save the Children has stepped up in Nepal. The light of the morning is just as I imagined it would be ~ the first rays of the sun stretching out over the city, giving off a magical hue. Off to the northeast, the sunrise sparkles off the snow-capped Himalaya mountain range welcoming in a new day. 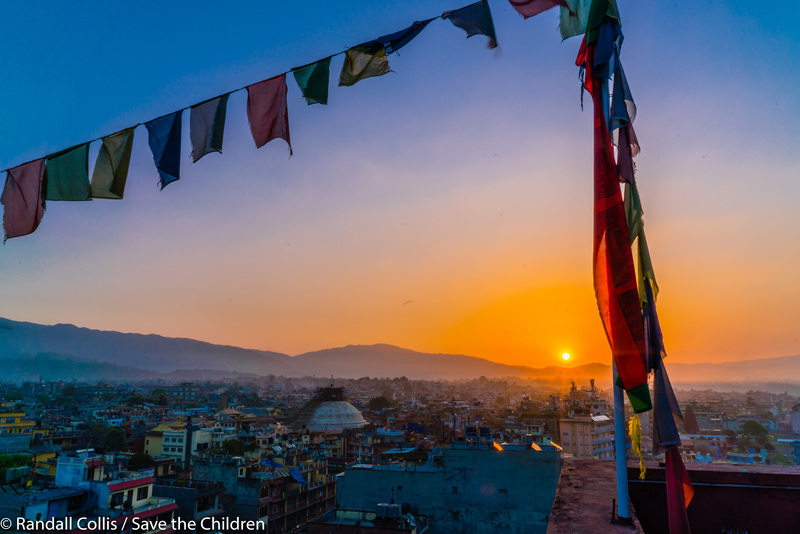 A breathless start to the morning, and in this dreamlike state I let my imagination run wild here in Kathmandu. Nepal’s rich history has been fueled by imagination, from explorers to philosophers pulled in by the natural scenery. All one needs to understand this feeling is to look into the powerful eyes of its people. Strength. Curiosity. A spirituality seeking the greatness in a day. 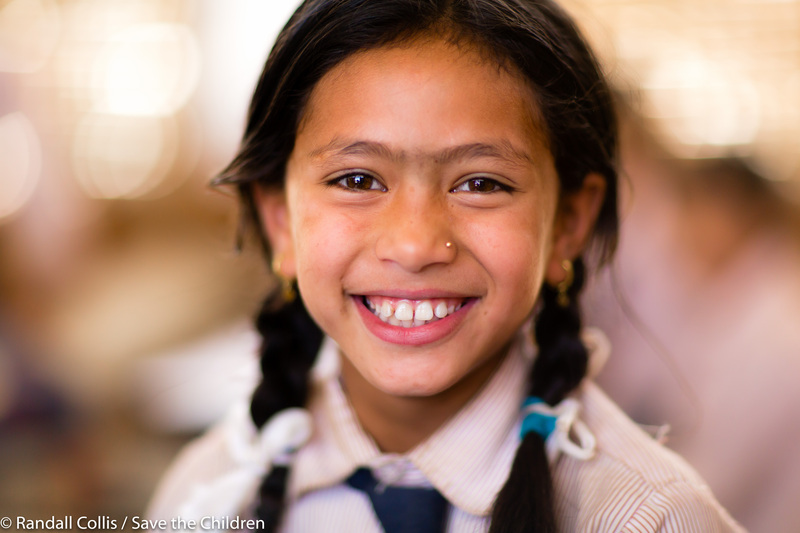 From Sherpas attacking the slopes of the Himalayas to the children playing in the fields, every day is a reminder of their home, a slice of heaven on earth. 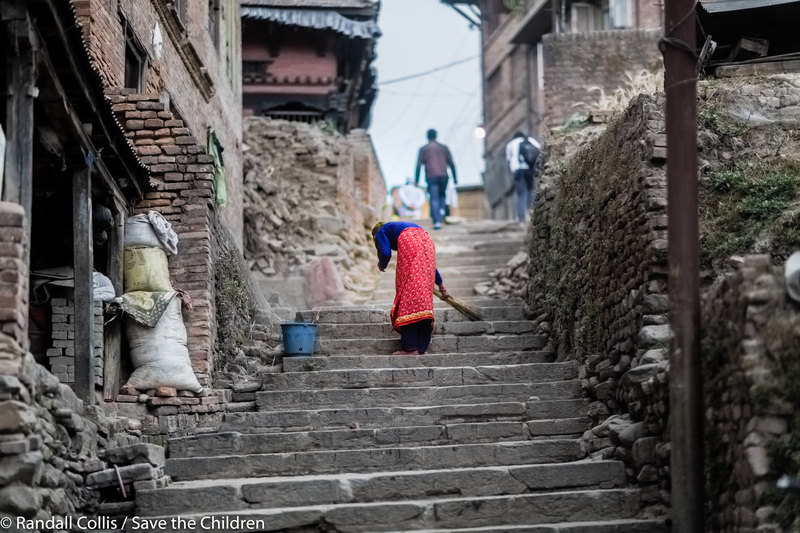 Even with the tragedy of the past year, the Nepalese keep moving forward. The morning sun flows through the room, its rays mixing with the youthful laughter and smiles ~ students sit mesmerized by the sight of a beautiful stranger in their midst. Giggles are hard to stifle as they listen to this ‘Angel from Hong Kong’ sharing pieces of a life so foreign yet so wonderful. The glimmer in their eyes shows the admiration, inspiration, and appreciation for those who step forward offering an opportunity where before there was none. 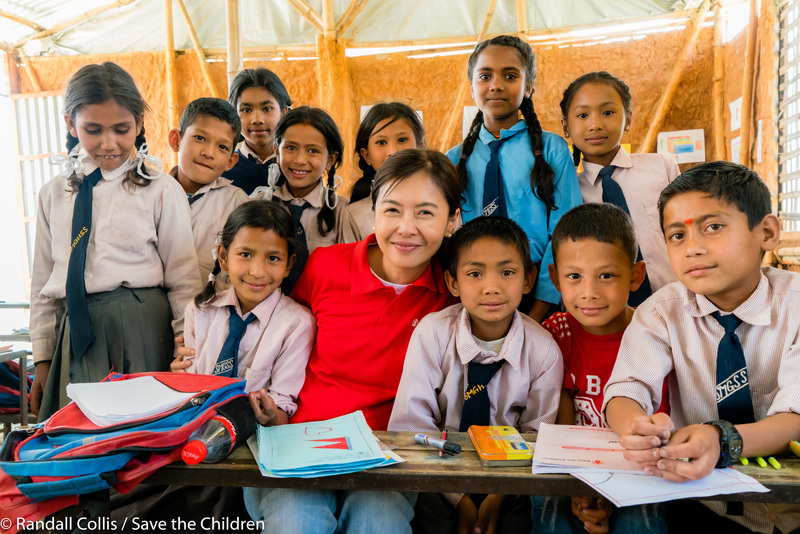 Mrs. Cathy Chui Lee (徐子淇) is the first Asian patron of Save the Children, joining three other Princesses: Princess Anne in the UK, Princess Viktoria in the Netherlands, and Princess Basma in Jordan: their quest to provide safety and opportunity to children around the world to reach their potential. This is especially true for those most marginalized, deprived and facing a humanitarian crisis. 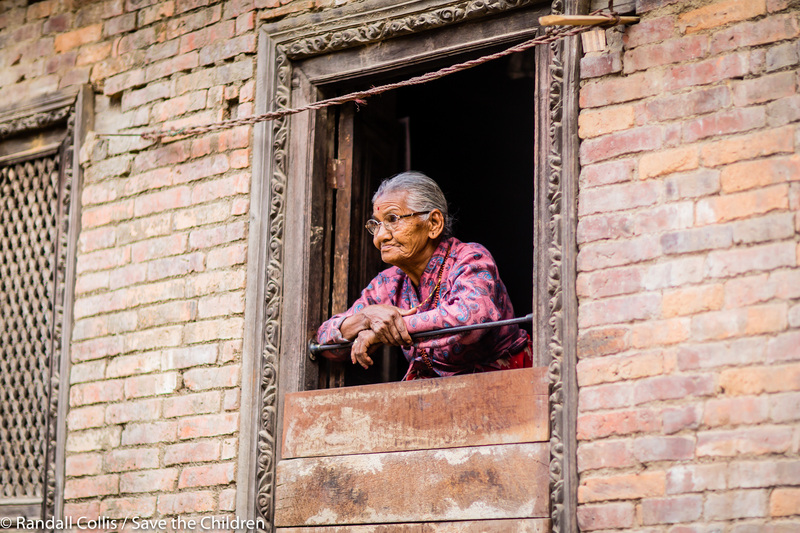 The shattered buildings we see as we weave our way through the historic Durbar Square in Bhaktapur is unsettling, reflecting the shattered lives of those in the area. The beauty of the place shows off a rich heritage. Elegant architecture surrounds our every step, punctuating the culture of the Nepalese. Yet there is a reminder. Every dozen meters there is a jarring jolt of destruction left by the powerful quake and the sad reality of the work still to be done. 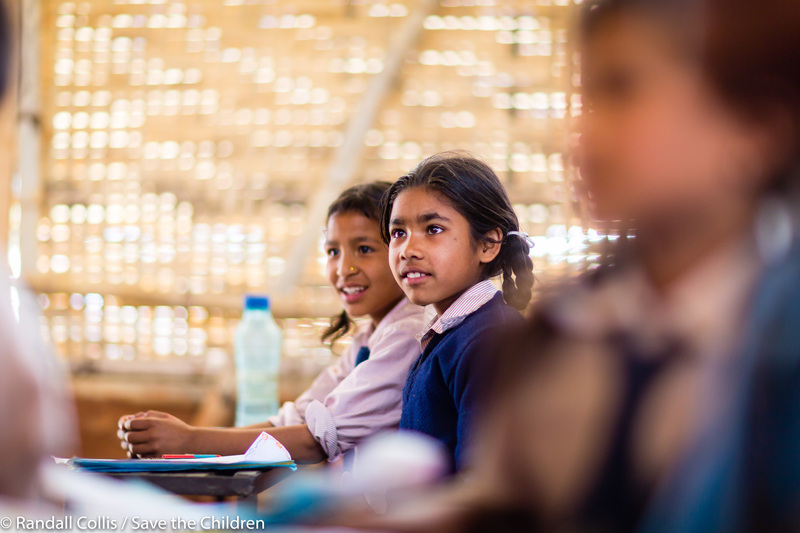 Cathy’s visit to these devastated areas of Nepal allows her to see first hand the difference aid organizations make in the lives of children and their families. The visit also gives Cathy the opportunity to directly engage with the children, offering the value of both her donation and time to bring sunshine into a difficult period of their lives. Of all the incredible moments I have seen, the most beautiful sight of the day is the excitement in the eyes of the children being matched by the wonder and sincerity in the eyes of Cathy. 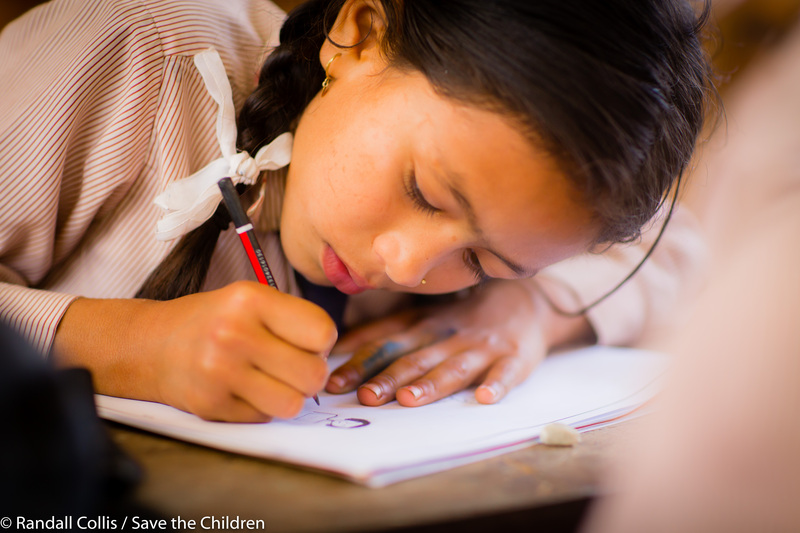 Her ease with the children makes it clear, as much as Cathy inspires the children – she draws even more strength and inspiration from them. 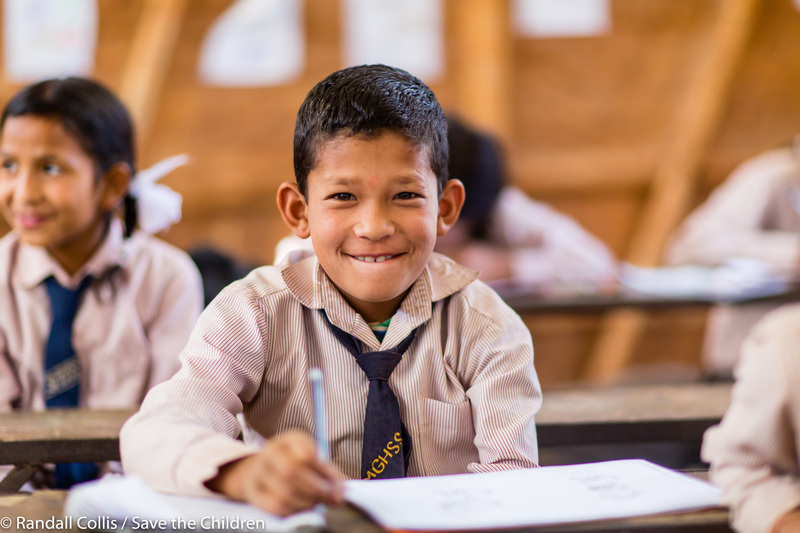 The melody and rhythm of traditional Nepalese folk songs float through the small classroom and Amy Fong, CEO of Save the Children Hong Kong, blends right in singing along with her new-found friends. “We are very honored and excited to have Cathy Lee as our patron. We admire her compassion for children and her willingness to actively make a difference in their lives.” Amy mentions this as we watch the students draw the Nepalese flag on Cathy’s hand, a souvenir for her to take back to Hong Kong. “There is still so much to do, and rising to the challenge is where we will make the greatest difference…” and I could not agree more. 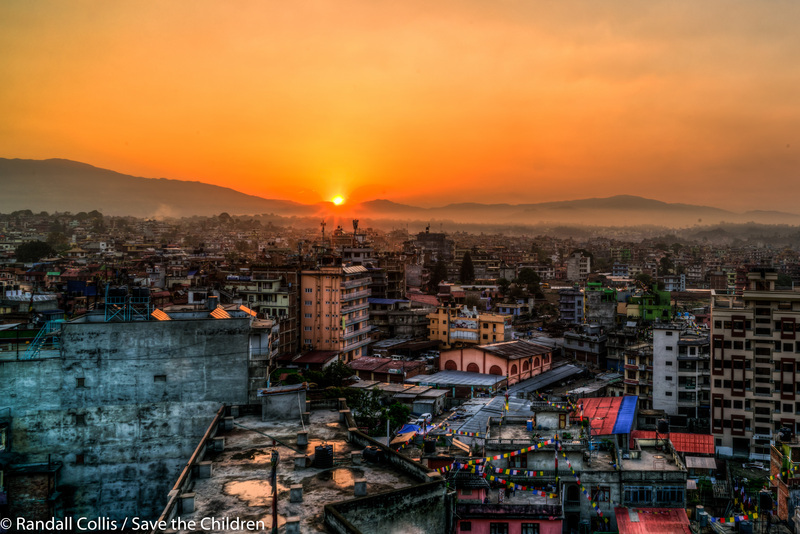 The sun, beginning its descent into another night, pauses ever so slightly on the horizon sensing a special moment: the coming together of two uniquely wonderful angels here in Nepal. On our last stop of the day, there is a surreal feeling as we watch spellbound as Parathi and Cathy sit outside the shelter and talk of the daily hardship. 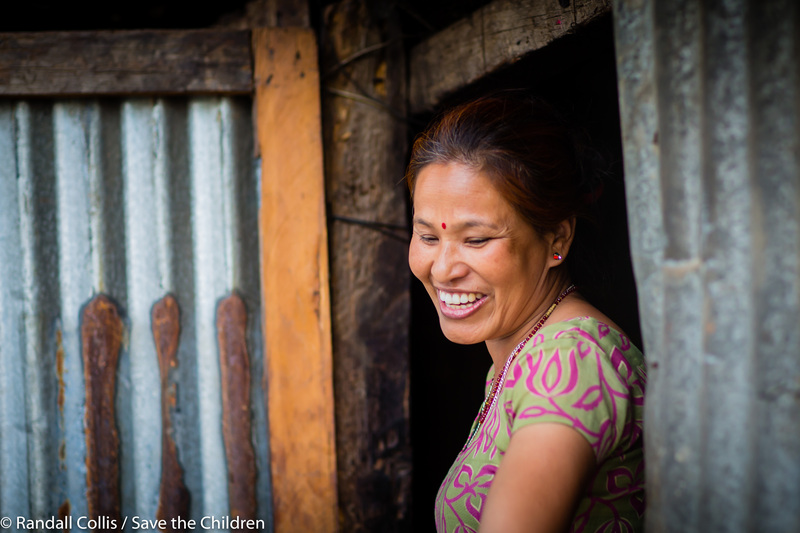 While Parathi is still stuck in a temporary shelter and lacking income, there is no sign of distress or worry. 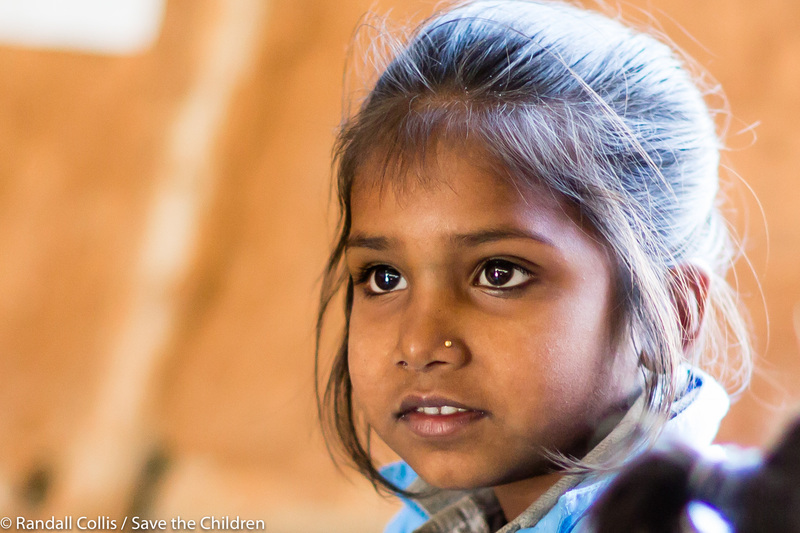 Instead, her strength and integrity shine through when she speaks of the future she can create for her children and how Save the Children has helped make this possible. Cathy softly holds Parathi as they connect on a level I imagine only two mothers can. An intense amount of empathy and respect for each other is apparent, and I sit back amazed at how two people so far apart in terms of material wealth can almost be mirror images of each other when it comes to strength of character. Is there something in the air of Nepal? It is hard not to shed a tear at the wisp of magic traveling upon the breeze this evening, proof of how powerfully connected we all are to each other. The admiration I have for her and the Save the Children organization is great, and I could not imagine a better pairing of souls. The experience today had a bit of everything. 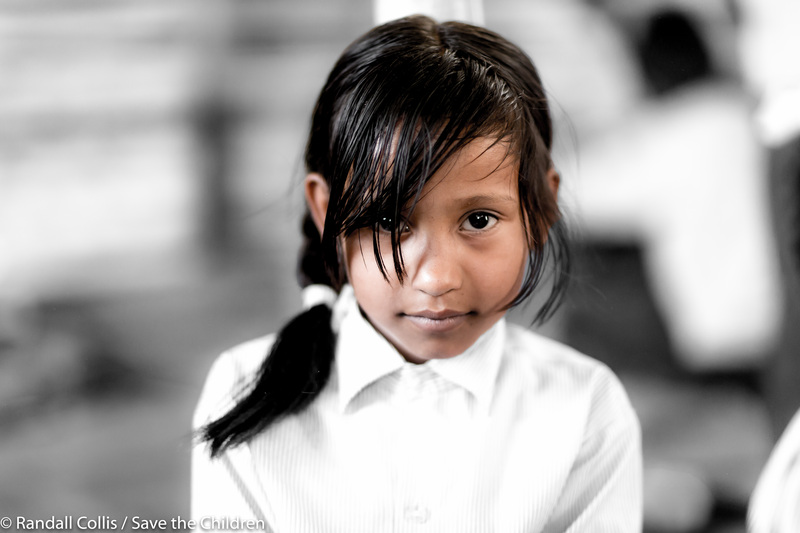 The hope on the children’s faces often stood in stark contrast to the concerns of the older generation. 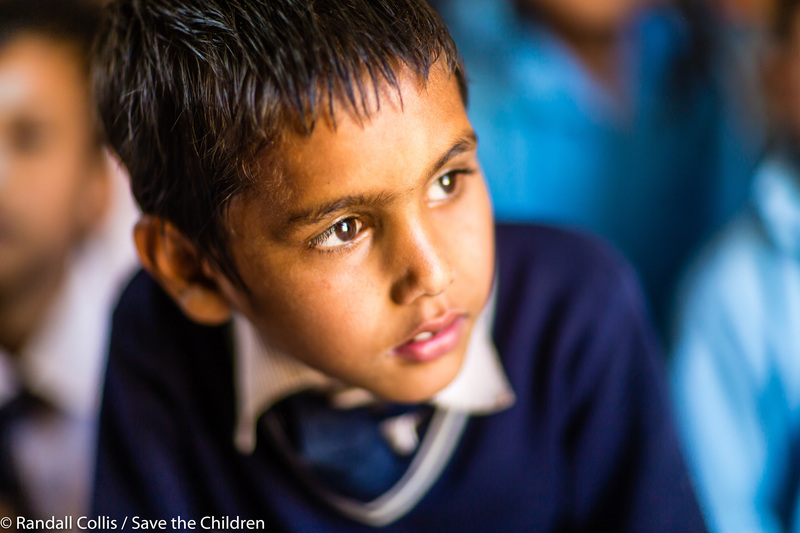 The one constant being the appreciation for organizations such as Save the Children. 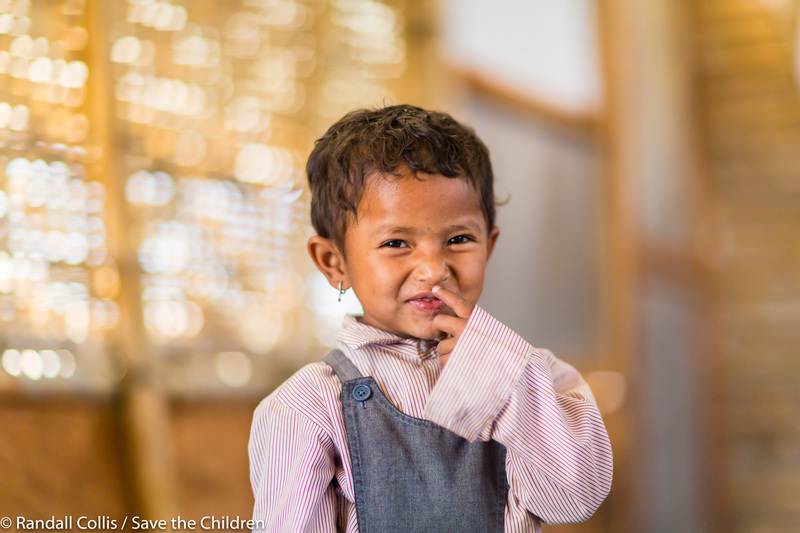 Organizations who go the extra step to ensure the quickest response time when it comes to helping children around the world. The smiles and the laughter of this trip are strong reminders of the need to help the most vulnerable and most important resource on earth: the children. 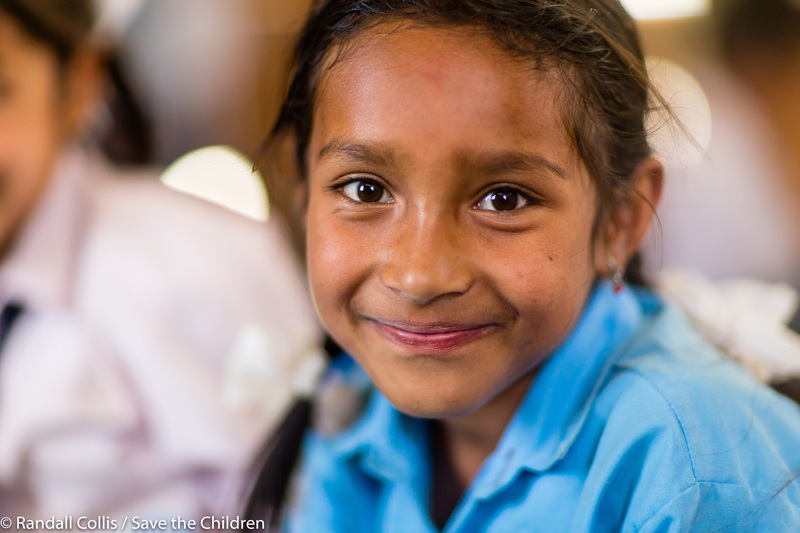 The empathy and grace Cathy carried on her visit to Nepal highlighted her support of the Children’s Emergency Fund: a fund to ensure quick response to children around the world.